Planning on building a new home? You may be interested in the following tips and guideline in order to minimize the potential for sediment pollution during construction, stay in compliance with State and Federal environmental regulations, and also save money. The first step is to develop an Erosion and Sediment (E&S) Control Plan for your future construction activities. The majority of construction activities, resulting in any type of earth disturbance within Pike County, require E&S Control Plans according to Pennsylvania Law. In order to assist in the development of such plans, the Pike County Conservation District (PCCD) has provided a Small Projects Guide document that can be used to develop an E&S Control Plan specific to your site. This document can be located at the PCCD website using the following link: https://pikeconservation.org/erosion-control-plans-less-1-acre-disturbance/. When developing your construction plan you should also consider some of the following guidelines. A great way to minimize the potential for erosion and sedimentation is to limit the disturbance to already existing vegetation. Trees and shrubs that are to remain on the site after completion of construction should be clearly marked so that they are not accidently disturbed. Be sure to limit soil compaction and filling around trees that are to remain in place, as this type of activity can result in permanent damage and/or death of the tree. Try to avoid working in wet weather and working on steep slopes in excess of 10%. If there are wetlands, streams, ponds, or other bodies of water on the site that may be impacted during construction be sure that the proper local, state, and/or federal authorizations have been obtained. If you are unsure of whether or not your construction activity requires environmental permit authorizations, please contact the Conservation District. When construction has been completed reestablishing vegetation over areas of earth disturbance is essential. Choose a seed mix that fits your particular site conditions. You may want to complete a soil test in order to determine the amount of lime and fertilizer to apply in order to get optimal results. (Call your closest Penn State Extension office for a simple inexpensive soil test kit). Check with your local Extension or Conservation District office to determine the optimum time for planting. After seeding, be sure to mulch the area to reduce erosion potential and aid in seed germination. Hay and straw are preferred mulches and should be applied at a rate of 3 tons per acre. Lastly, don’t forget to water seeded areas during dry periods. For best results and to conserve water, water early in the morning or in the early evening, when sun and wind are at a minimum. 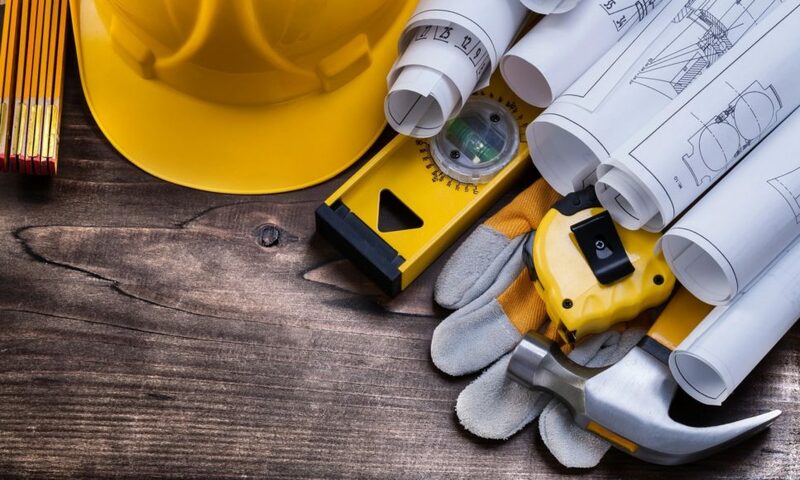 Planning ahead for your construction project protects the soil and water on your property and helps assure the success of your investment over the long-term.